My Baby Shower is this weekend (eeek!) and I can't wait to see so many of my friends and family in the same place to celebrate the pending arrival of Little A! While my step mom in law and mother are hosting, my girlfriends are lending a hand as well, so I'm sure it's going to be perfect since these ladies don't do anything sub par. I've had a small hand in providing some opinions of things I like and those I don't and because I couldn't help myself, I did small crafts for my SMIL to use as decor. Paper pennants, cupcake toppers, and the guest book (which I'll show you all after it's been signed and assembled). Of course, the best place for party planning inspiration is pinterest. 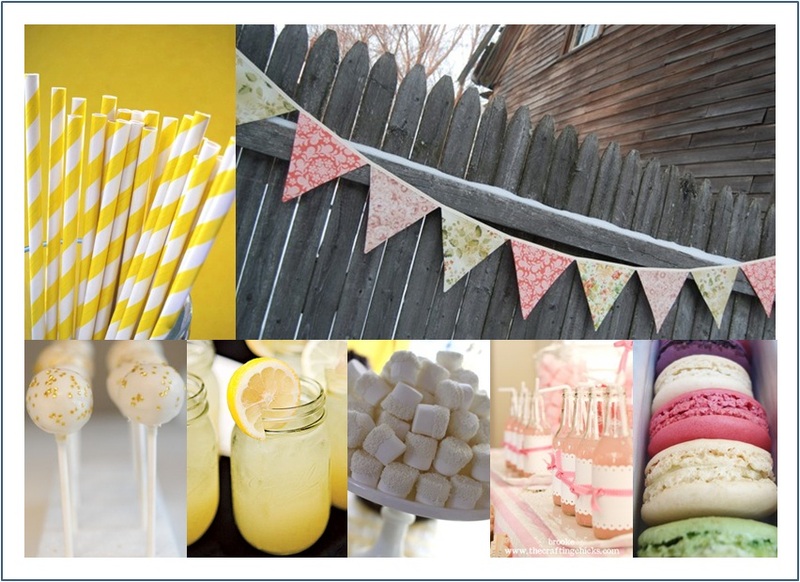 Here are some mash ups of my current favorite decor, favor, and details found on pinterest that would be perfect for any baby shower! 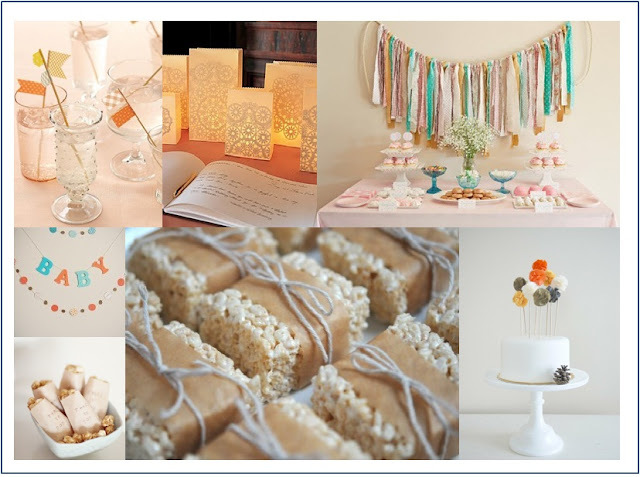 And if you missed it, I shared some of my favorite shower tablescapes last month over at Chelsea's blog. Check it out! Gorgeous and so much fun!! I hope you share pictures of the event! Such cute ideas! 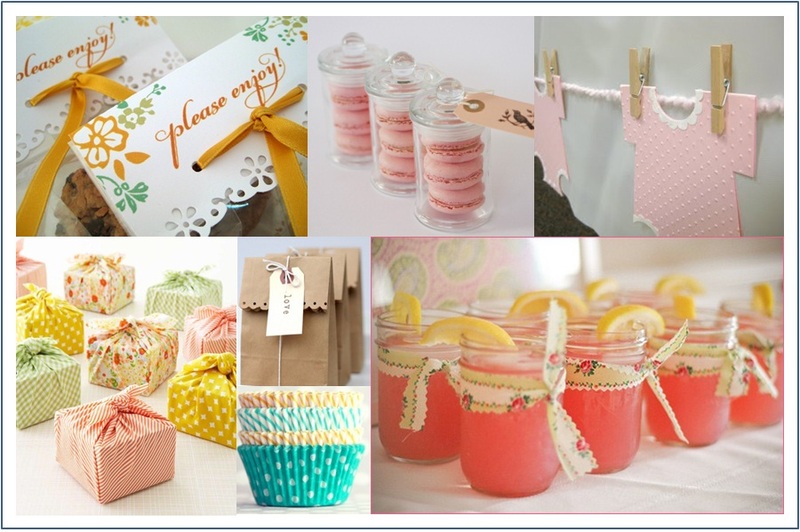 Love the mason jars and macaroons! Oh and those rice krispies...clearly craving all of it! Can't wait to see the pics! Everything you've pinned looks incredible! OMG, I can't wait to see pictures. I bet everything is gonna be gorgeous.